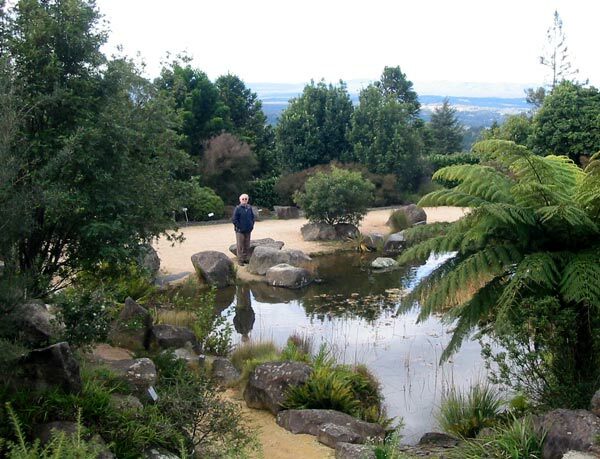 The Mount Tomah Botanic Gardens (in the Blue Mountains west of Sydney) advertise themselves cutely as the 'Coolest Botanic gardens in Australia'. They certainly are - what a great place to visit! One of the nicest things is that gardeners from New Zealand can confidently grow all these plants and trees. My roving reporter's confidence grew at every pathway's turn. There are Camellias, Rhododendrons, and New Zealand natives like the groovy bright orange Libertia. 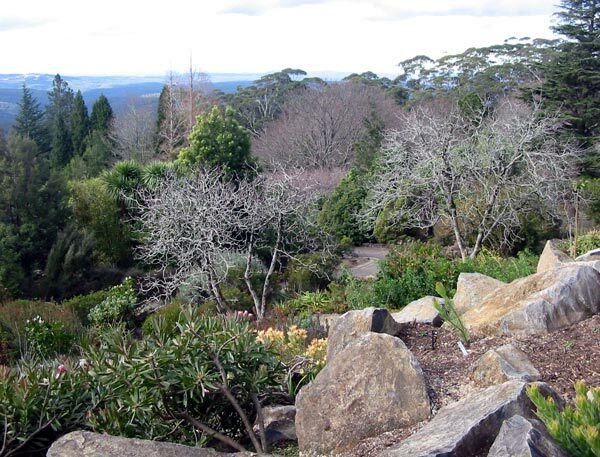 Plants that I know, and grow, are here in this sloping garden, surrounded by the beauty of the Australian bush. The tall Sydney skyline buildings were just visible 105 kilometres in the distance. The air was crisp, the sky was blue - and typically I didn't remember to write down any plant details. 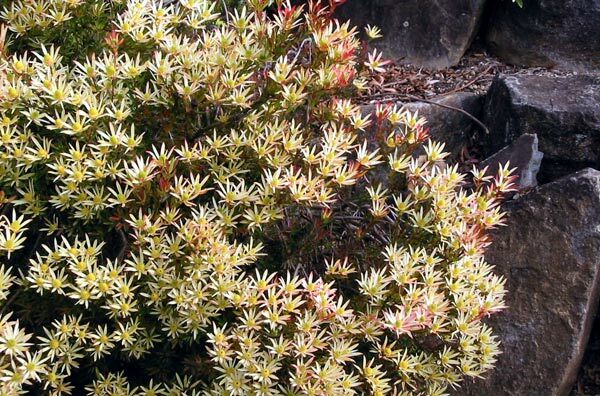 There was a Leucadendron walk - I love these shrubs, and took many pictures of them - alas no variety names were recorded.